There are fewer walnuts this year because of the persistent drought, however there are still plenty of walnuts to dye fabric. 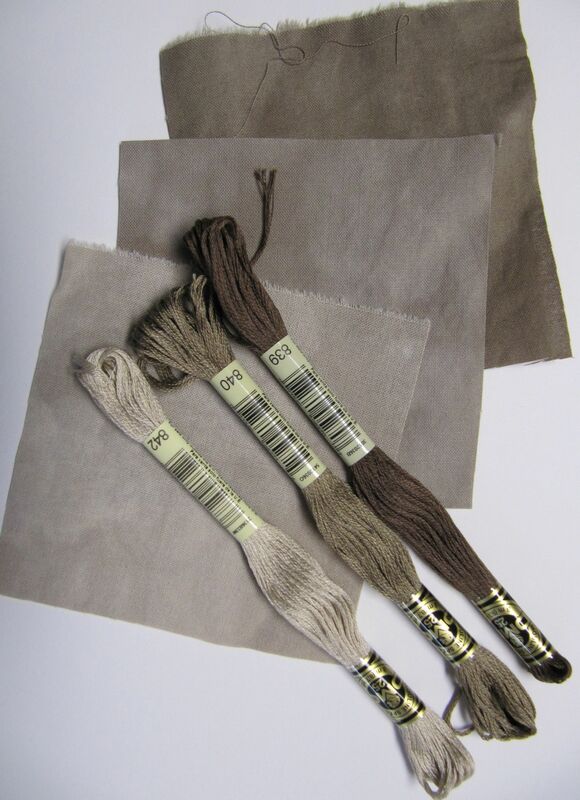 Here are instructions to dye 9-yards of fabric in three shades of grey/brown. 1) I start with 3-yards of white Kona cotton (I have provided brand names throughout, although it probably doesn’t really matter what you use). 2) Collect enough unripe green walnuts to fill a 27-30 lb plastic container (a Tidy Cat litter container works well for this purpose). It is OK if some of the walnuts have begun to decay and are gooey and black. 2) Wash the cotton (just before adding the walnuts) and keep the fabric wet. I use All (free and clear) detergent for high efficiency washers. Leave the fabric in one 3-yard piece. 3) Add a layer of walnuts in the kitty layer container and then cram some of the fabric into the box. Mix walnuts amongst the fabric folds until the container is full. 4) Add 3 pounds of Kroger brand kosher salt. 5) Pour a quart of Heinz apple cider vinegar over the salt. 6) Fill the bucket with water. 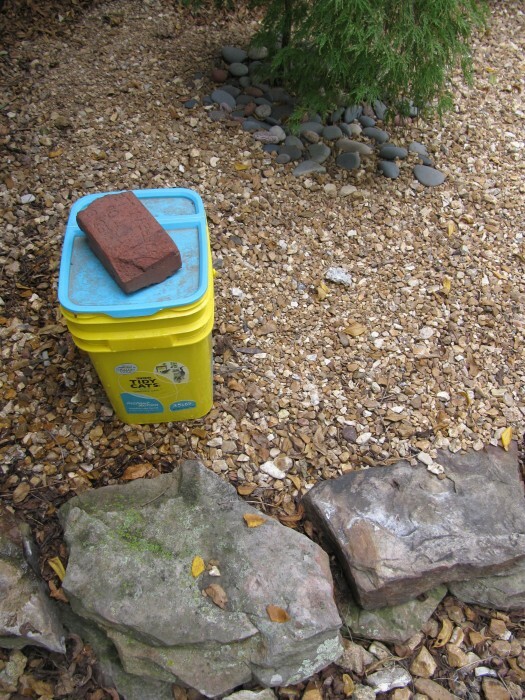 7) Secure the lid with a brick and leave the mixture outdoors until spring. The average winter temperatures in Lawrence, KS ranges from 20-40°F. 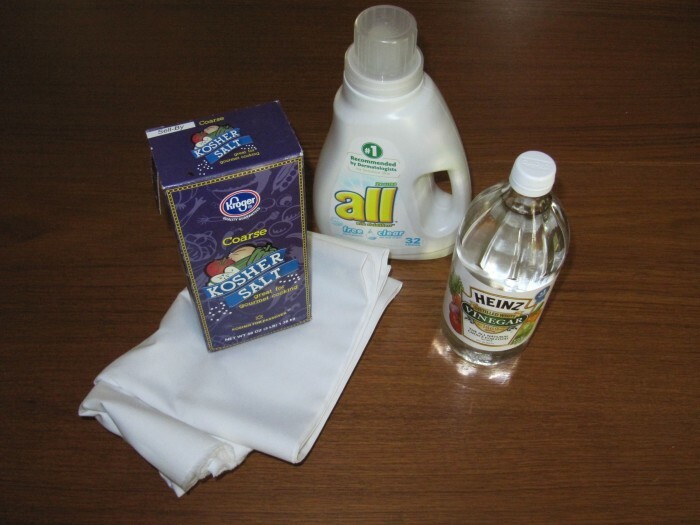 8) Take the fabric out of the box around April or May. The fabric will be covered with black bits of decaying walnuts. Leave the walnut mix in the container. 9) Spread the fabric out on the lawn and use the garden hose to wash away the walnut bits on both sides of the fabric. 10) Leave the fabric in the sun until it dries. The fabric will fade a little in the sun. Wash and dry the fabric and it is ready to use. For lighter shades, the walnut mixture can be reused two more times. Repeat steps 1 through 10 with 3-yards of fabric. Leave the fabric in the walnut mixture for one month and process as described above. Repeat with another 3-yards of fabric. After the third batch the walnut mixture is exhausted.